The new Inland Revenue Bill was passed in parliament in early September with a view to streamline the system of taxation, broaden the tax base and grow government revenue as outlined by the International Monetary Fund (IMF) when it approved a three year loan facility for US$ 1.5 billion. Meanwhile, investors await greater clarity on the new tax law to gauge its real impact. And it could well be that any related apprehensions may have filtered down to the corporate level as reflected by the bombshell that came with the latest update of the unique LMD-Nielsen Business Confidence Index (BCI). THE INDEX In September, the BCI plummeted to below the psychologically important mark of 100 basis points – at a lowly 99, the index shed a massive 22 basis points from the previous month and now lies at a 64-month low. So this is the first time since June 2012 – when Sri Lanka was grappling with the iron fist of the United Nations Human Rights Council (UNHRC), following its damning resolution in March that year alleging war abuses – that the index has fallen to double digits. Ironically, the last occasion on which the BCI fell by more than 20 points was in the aftermath of last year’s budget presentation – the hope therefore, is that there will not be a repetition of that post next month’s Budget 2018 proposals. THE ECONOMY The outlook on the economy has also suffered as less than one in 10 respondents now feel it will ‘improve’ in the coming 12 months. This figure stood at around one in five (21%) in the previous month and nearly a third six months ago. 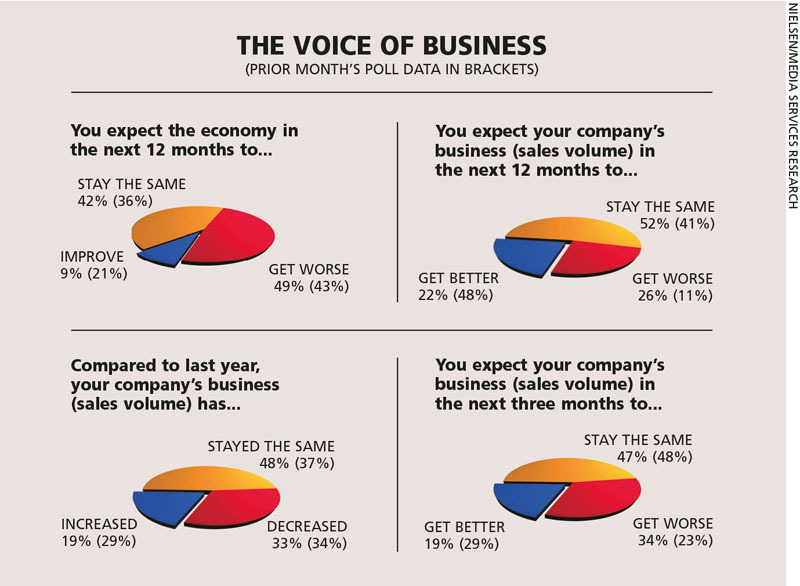 BIZ PROSPECTS Sentiment on business performance too has taken a beating with only 22 percent and 19 percent of those surveyed foreseeing better prospects for their businesses in the long and short terms respectively – the corresponding scales of optimism in the preceding month were 48 percent and 29 percent respectively. “The finance sector has been greatly impacted owing to constant policy changes by the government,” observes another businessperson who says that “people are reluctant to invest” because of this. WORKFORCE Seventy-seven percent (versus 82% in the prior month) of corporates say they plan to maintain their workforce at existing levels in the coming six months. In the meantime, the share of those looking to increase their staff numbers has grown to 17 percent in September from 15 percent in August, which is an encouraging sign. SENSITIVITIES Business leaders appear to be calling out inconsistency in economic policy making and the lack of a skilled workforce as reasons for deferring their investment plans. PROJECTIONS In last month’s edition, we felt that while Nielsen’s September survey of businesspeople was likely to be an eye-opener on many counts, it was “unlikely that a major shift in the BCI’s fortunes (or indeed, misfortunes) would eventuate in the near term” – such was the state of the nation at that juncture. As it turns out, we were wrong. The latest BCI survey results will surely come as a rude shock to even the most pessimistic forecasters. It follows that the next few months will be closely watched as businesspeople react to the new Inland Revenue Act and unfolding tax regime, and inflation, as well as the forthcoming budget proposals. And there’s now a risk that political hara kiri could return to plague a nation that is already reeling from the ill effects of widespread corruption in the past and at present. It would seem that at this point, one can only hope for the best – and that could well be that the index doesn’t continue to slide.